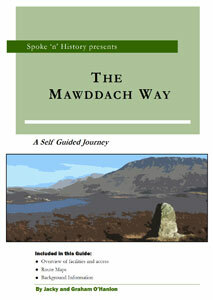 Spoke 'n' History's detailed guide to the Mawddach Way is available as a colour booklet or as a PDF download. It contains more than 50 pages of route description, photographs, historical detail and background information to enhance your experience of this circular walk around the scenic Mawddach Estuary. A bound, colour, A5 booklet version of the route guide will be dispatched to you by first class post. An electronic (adobe pdf) route guide to the Mawddach Way will be e-mailed to you within 48 hours.